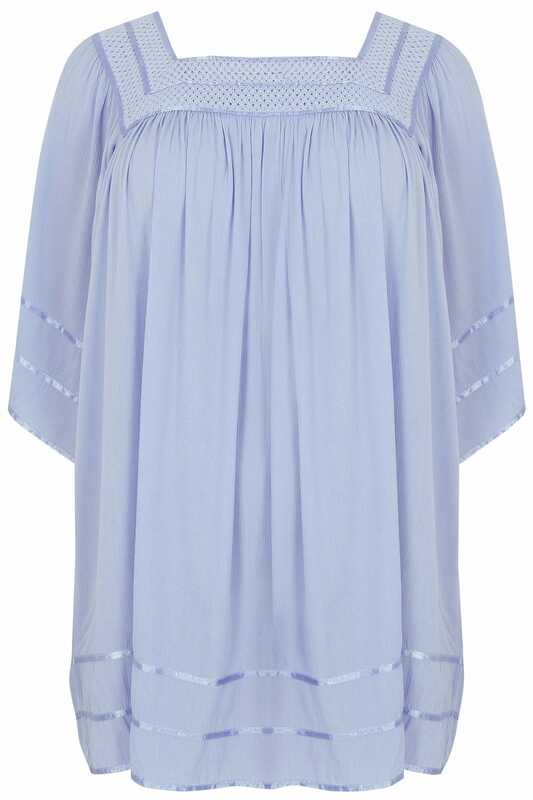 This floaty top is giving us all the feminine feels. 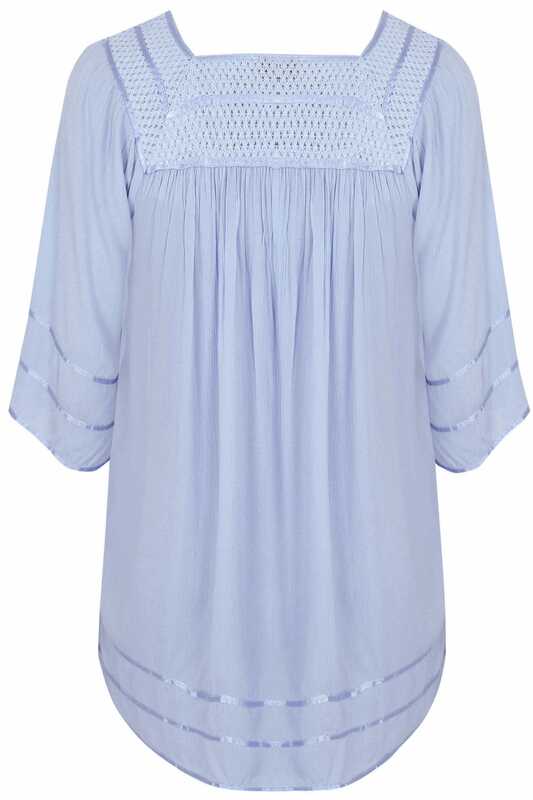 In a pale baby blue hue, it features sateen detail to the trims and finishes with a cute crochet neckline. Keep your look casual and partner with denim for daytime appeal. Pastel tones are a spring/summer must.